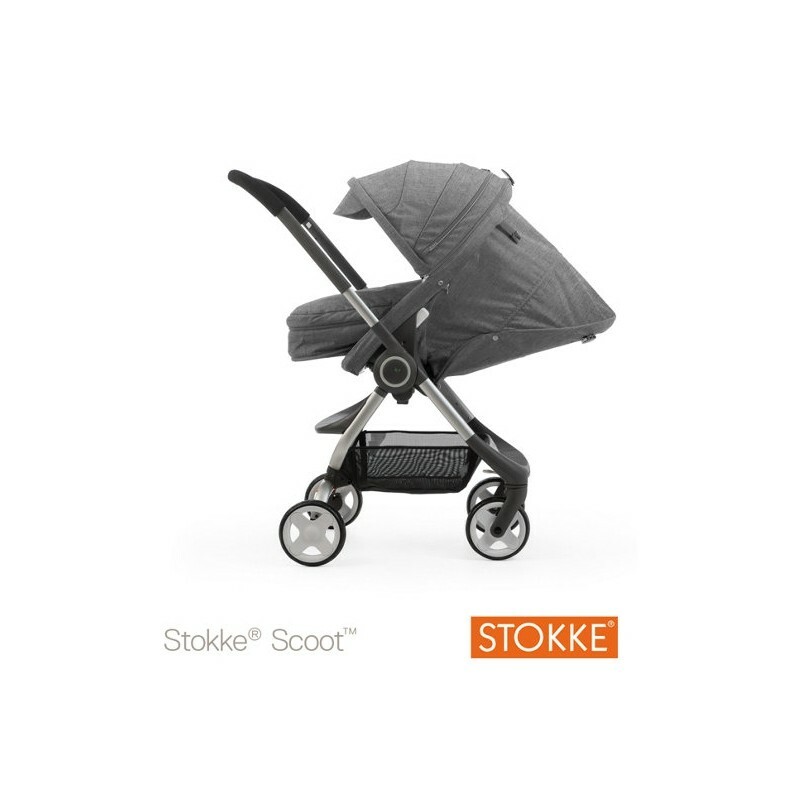 Unlike other strollers, the Stokke® Scoot has been cleverly designed to allow your child to be seated in a more elevated position allowing you both to be able to make contact with each other and interact. 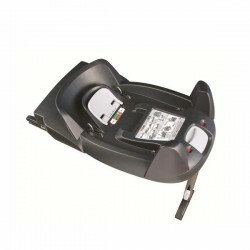 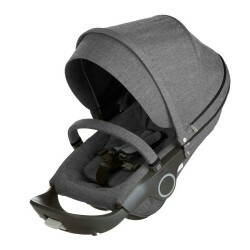 The seat unit is also reversible allowing your baby to face you, or face forwards to explore the world around them – when used in the forward facing position the seat is at the height that it can also be used instead of a highchair when in a coffee bar or restaurant. 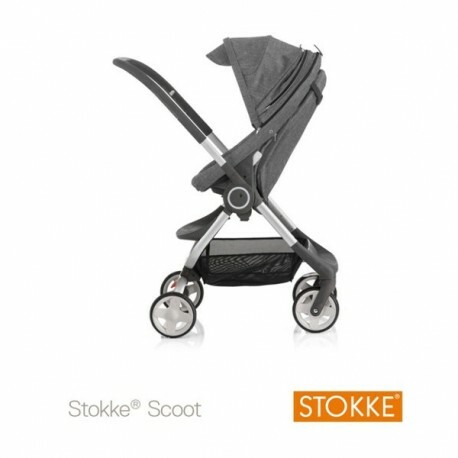 Featuring four different seat positions and an adjustable footrest to keep your child sitting comfortably as they grow, the Stokke® Scoot is suitable from birth and is compatible with the Stokke® iZi-Go by BeSafe® baby car seat (available separately) to form a travel system. 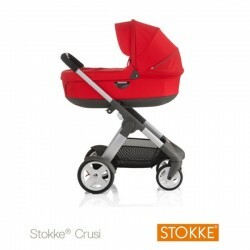 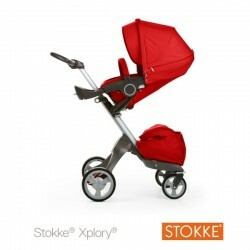 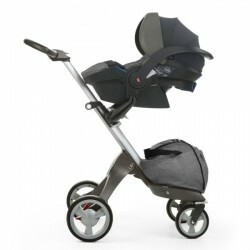 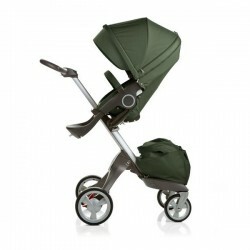 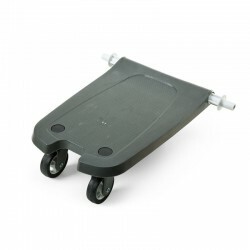 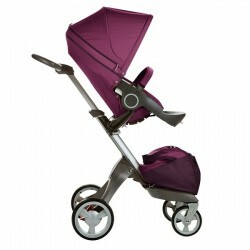 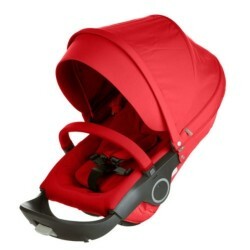 The front swivel wheels ensure the stroller can be pushed effortlessly over smooth surfaces, and when travelling over rougher terrain the wheels can be locked in to a fixed position for easier manoeuvrability, whilst the soft suspension on the wheels ensures your little one enjoys a comfortable ride. 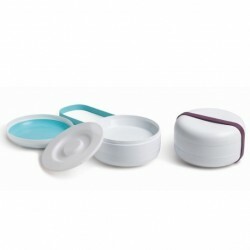 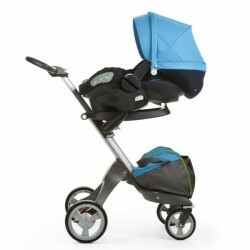 The handle has been designed to ensure all parents of different heights are able to push in comfort and is easily adjusted in height. 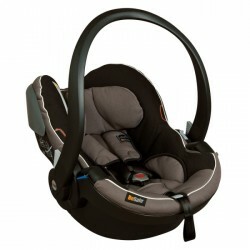 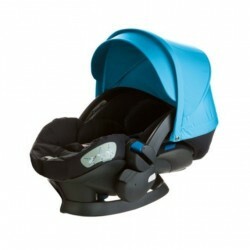 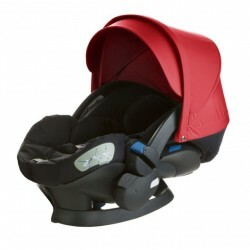 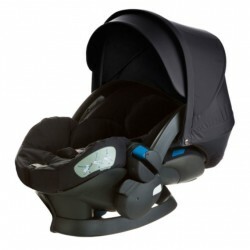 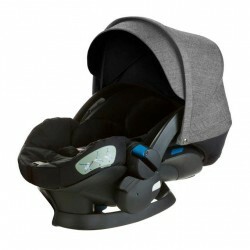 Your baby’s seat is an ergonomic design to ensure they are always seated in the best position and the seat unit is also ventilated and padded for comfort. 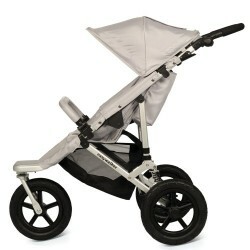 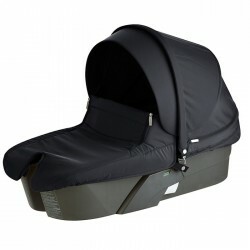 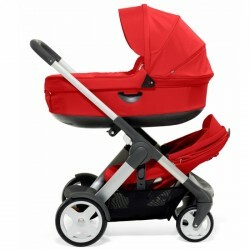 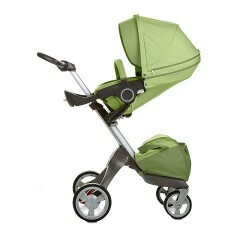 Underneath the seat unit is a generous cargo basket for keeping your little one’s changing back or some shopping. 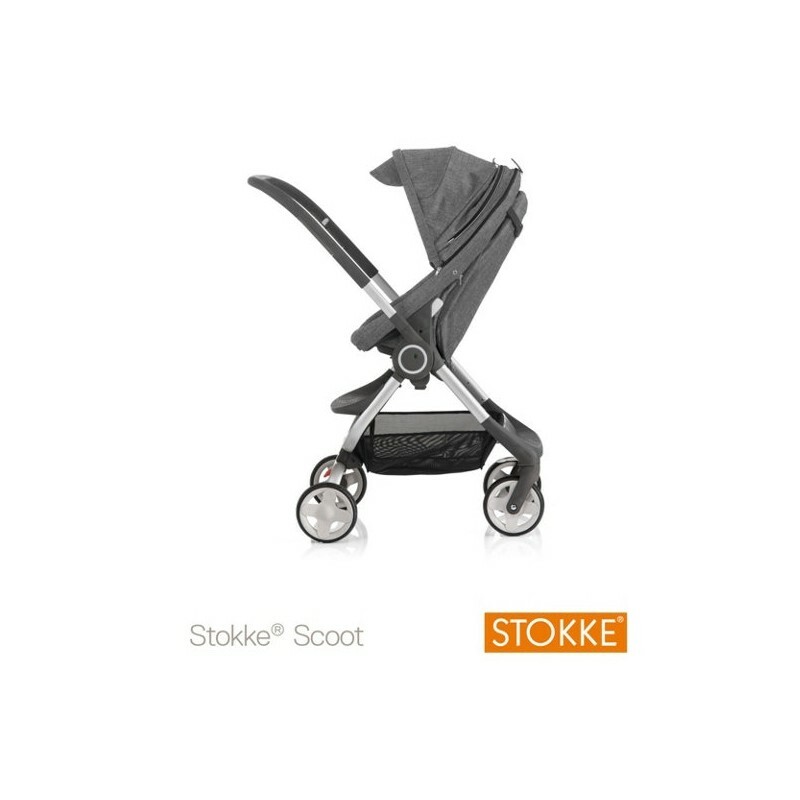 When not in use the Stokke® Scoot is simple to fold by simply pushing and releasing the mechanism and will fold compactly using just one hand. 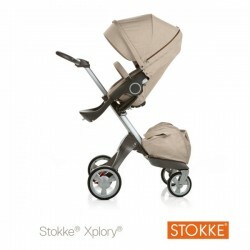 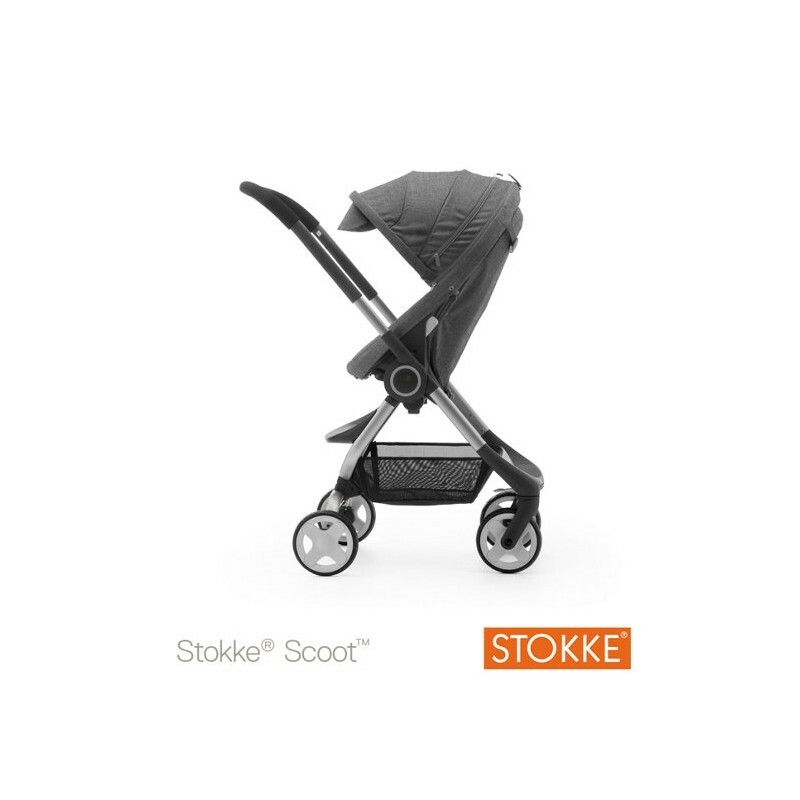 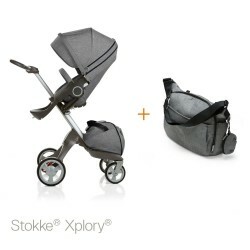 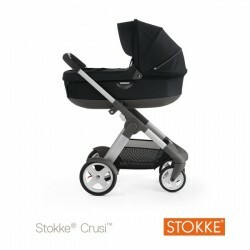 The Stokke® Scoot is the ideal stroller for families on the move and is perfect for travelling, using public transport and city strolls.